According to a 2009 report in The New York Times, studies show that nearly half of employers check social networking sites like Twitter, LinkedIn and Facebook to research the online presence of their potential hires. The newspaper also notes that a number of companies choose not to offer individuals jobs based on their profile content. Many hires are aware of this fact, and may adjust their privacy settings to make their profiles visible only to immediate friends. However, if individuals plan to keep any social media profiles public, the writing that they post should be professional. The Daily Helmsman reports that dirty language, flawed spelling and poor grammar in statuses and posts can give employers a negative idea of the kind of person an applicant is. Speaking to the paper, Carrie Brown, a professor of journalism, noted, "obviously, if a future employer were to look at something and it had a ton of grammatical errors, they wouldn't hire that person for a writing job." Employers, then, may see excessive cursing, broken grammar and constant misspellings as a red flag. 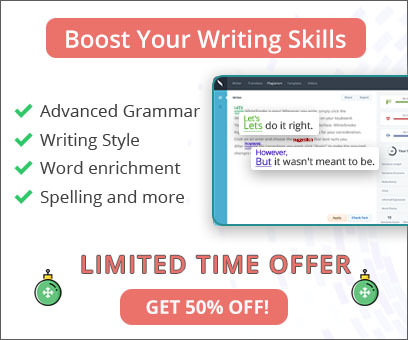 As many websites can immediately check grammar and spelling, the Internet-savvy should perform grammar and spelling checks before posting their statuses and text online. Get WhiteSmoke and keep your job safe!